Do you see flowers, Nine Patches, or Churn Dash quilt blocks? 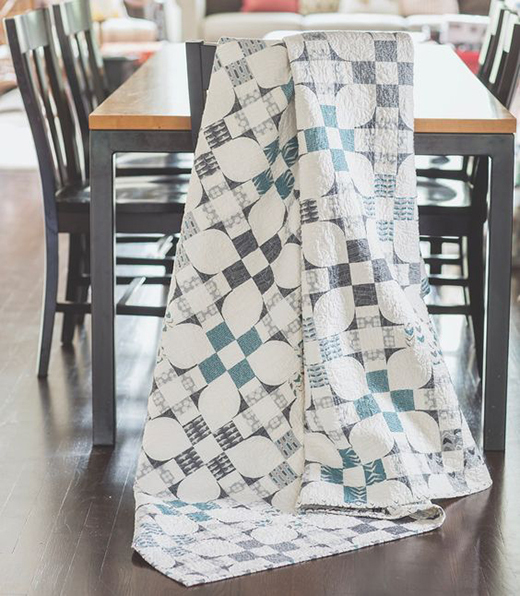 Using only white and shades of gray, Amy Ellis has created a quilt with strong visual interest. This Flowering Nine Patch Quilt designed by Amy Ellis for QuiltingCompany, The Pattern is available for free.